Toyota, one of the world’s leading automotive companies, has a proud history of environmental leadership. Toyota believes the environment must continue to be a priority if the automobile is to remain a positive force for progress and if automakers are to meet the challenges of carbon reduction, air quality and energy diversity. Now more than ever it is committed to developing advanced and innovative technologies to make the break from dependence on oil, which it believes is fundamental to securing sustainable transport and a low-carbon society. 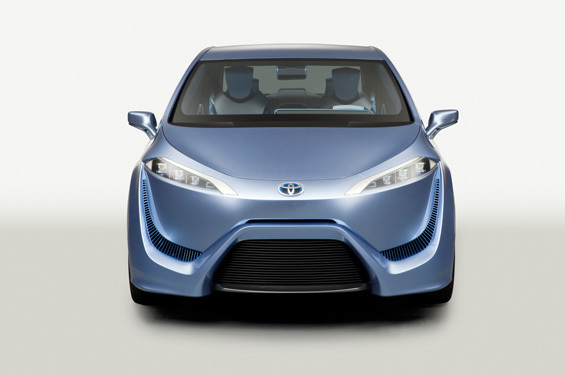 Toyota will mark a significant achievement in zero-emission vehicle development with the 2015 market launch of its first commercial production Fuel Cell Electric Vehicle (FCEV). This saloon model will benefit from almost 20 years’ experience the company has gained in fuel cell technology and hydrogen storage. Toyota is pleased to be a founder member of UK H2Mobility, adding our support to the project’s ambitions to develop and enable clean, sustainable hydrogen fuel cell transport for the UK. Toyota believes this technology offers great potential for sustainable transport and will be among the first manufacturers to bring hydrogen-powered vehicles to the market. Toyota welcomed the establishment of UK H2Mobility to help confirm the potential for hydrogen as a low-carbon fuel in the UK. A close and positive working relationship between vehicle manufacturers, infrastructure companies and Government is vital in ensuring the opportunities and benefits of hydrogen power are fully realised. The project’s initial findings have delivered valuable resources and Toyota is committed to participating fully in its second phase.